As part of the Seminar in Hispanic Studies, Arianna Dagnino will be presenting on Tango and transculturality. Wednesday April 2, 2014. 3pm-5pm. FHIS Department Lounge (BuTo 799), 7th Floor, Buchanan Tower. 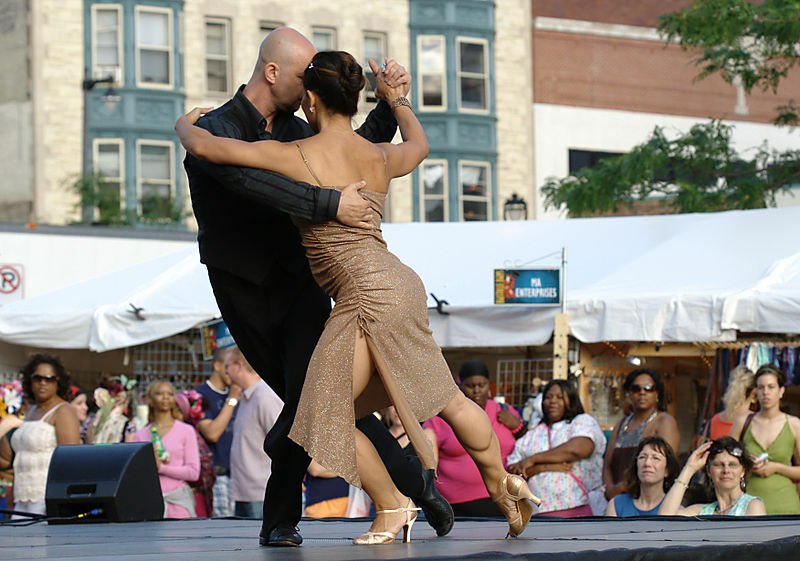 In this talk, Arianna Dagnino analyzes the role of twenty-first century global (Argentine) tango as a model of contemporary transcultural practice and as a means of identity re-positioning. She starts by introducing the concepts of “transculture,” “transculturality,” and transcultural “continuum”; she then continues by explaining the transcultural nature of “global tango” in relation to the distinction made by Argentinian ethnomusicologist and musician Ramón Pelinski between “el tango porteño” and “el tango nómade.” Subsequently, she shows how the tango may be understood as a symbolic enactment of shared power, or of power as “sheer togetherness” (Hannah Arendt, 1958). She concludes by briefly outlining how global tango may affect our sense of social agency in the global political arena. The talk will be supported by audio-visual material. Arianna Dagnino holds a PhD in Comparative Literature from the University of South Australia and a Master’s Degree in Foreign Languages from the University of Genoa, Italy. Her PhD dissertation The Istanbul Quintet: Transcultural writers and transcultural novels in the age of global mobility, is a contribution to the area of transcultural studies in light of wider socio-economic trends, including mobility and globalization. Over the past 25 years Dagnino has lived across four continents working as independent journalist, literary translator and cultural analyst. She is currently in the team of ethnographic researchers at the international research centre on global trends, Future Concept Lab. All welcome. For more details, contact Raúl Alvarez Moreno. Refreshments will be provided.